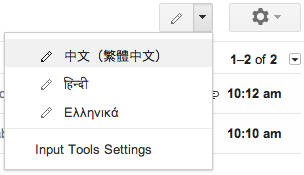 Gmail and Docs offer wide language support, however in some cases using the keyboard is less than ideal. Whether you’re a student trying to include a foreign phrase in your paper or an international consultant hoping to begin your message with a friendly local greeting, now you’ll be able to use your own handwriting to input words directly into Gmail and Google Docs with your mouse or trackpad. To try it out, enable input tools in Gmail or Docs and select the handwriting input (represented by a pencil icon) of the language you want to use. You can write single or even multiple characters at once in the panel to see them show up in your message or document. 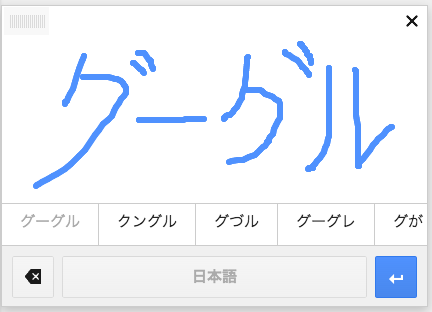 Currently, handwriting input is available in Google Docs for over 20 languages and in Gmail for over 50 languages, including Chinese, Japanese, Hindi and Russian. Handwriting input makes the internet easier to use by people worldwide and is also part of a larger effort to break the barrier between languages, check it out in Google Mobile Search, Google Translate (Web, Android and iOS), and the Chrome browser.